With an estimated 19.2% of Australian University students experiencing elevated psychological distress during their time at university (Stallman, 2010) it is clear that there is a problem. How are students doing? On average, not well. This pattern of psychological decline begins in the first year but for many continues to decline throughout their undergraduate years (Bewick, Koutsopoulou, Miles, Slaa & Barkman, 2010). There is now a wide range of research to suggest that the problem is widespread, reducing student success and completion, and increasing demand on university support services (Chow, 2007). This network will bring together researchers and practitioners across the Higher Education sector to tackle three important questions: how do students experience distress and wellbeing at university, why do students experience distress, and, what can be done to students to overcome distress and support their well-being throughout their time at university and for their future? The STARS Psychological Well-being Network this year will be dedicated to learning more about the great initiatives and endeavours of our network members. – How do we identify wellbeing needs? – New university wide interventions. – Curriculum based approaches to support wellbeing or manage distress. – Progress on university wide strategies. 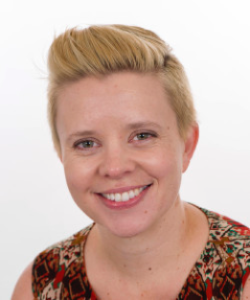 Lydia Woodyatt’s research is focused on the intersection between social and clinical psychology particularly focusing on motivation, identity, and emotion (shame, self-forgiveness, hope, self-compassion, student well-being and engagement). As an educator she combines her knowledge and evidenced based approach as a social psychologist with her prior professional experience in pastoral care, to develop programs that successfully transition first and third year students within the context of the curriculum. She has innovated within curriculum to support psychological well-being of students, through developing online topics focused on resilience, well-being and metacognitive skills at university, the redesign of first year curriculum to meet transition needs, and developing a third-year to first-year peer mentoring program that addresses psychological well-being, academic achievement, and work integrated learning, for which she received several university teaching awards. Abi’s research draws heavily from lifespan developmental psychology, positive psychology, and higher education research to promote students’ learning experiences and development. 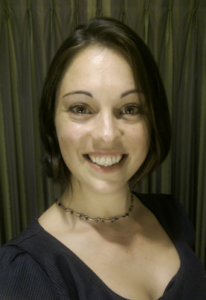 Her teaching and research interests focus on student wellbeing, with research projects including the relationship between psychological distress and wellbeing for university students, and academic educators’ strengths and needs in supporting student wellbeing. Abi recently project managed a national project investigating curriculum and teaching practices that promote student wellbeing (funded by the Office of Learning and Teaching). She now focuses on her teaching role in the Melbourne School of Psychological Sciences’ undergraduate capstone subject, where she developed and coordinates the Graduate Attributes Portfolio for all undergraduate psychology students. She also takes an active role in the capstone subjects’ revision working group, which is revising the curriculum with student well-being in mind.